Posted in Books, Movies, TV, Catchall, children science books, Jordan D. Brown, My Latest Work | Permalink | No Comments ». Add yours! DINOSAUR TRAIN coming to PBS! If you know any children who love dinosaurs and/or trains — please share this exciting news. On September 7, 2009, a new preschool TV series from The Jim Henson Company will premiere on PBS. It’s called DINOSAUR TRAIN. Set in a whimsically realistic, prehistoric world of jungles, swamps, active volcanoes and oceans, DINOSAUR TRAIN will help kids ages 3 to 6 to apply scientific thinking as they discover new types of dinosaur species, compare and contrast dinosaurs to today’s creatures, and learn about paleontology and natural history. Created by Craig Bartlett (Hey Arnold! ), the series aims to use kids’ fascination with dinosaurs to teach broader concepts about the natural world, and to inspire them to explore nature firsthand. You can check out a sample full-length sample on PBS Web site for the series, and please share any reactions. This Web site will be expanding in the coming weeks, so check back. Also, if you know of any wonderful books or other resources for dino-obsessed kids, please pass along the details. Posted in Books, Movies, TV, My Latest Work, Parenting Advice | Permalink | No Comments ». Add yours! A few years ago, Joseph Henry Press hired me to write an in-depth biography of Cynthia Breazeal, a world-famous roboticist. The result was Robo World: The Story of Robot Designer Cynthia Breazeal. 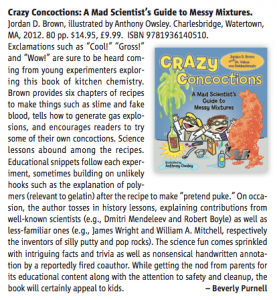 My book was part of a series of biographies profiling the lives and work of contemporary women scientists. This series also spawned the exciting Women’s Adventures in Science web site. The Cynthia Breazeal page, which I also wrote, can be found here. Don’t miss the Make a Robot game, inspired by Breazeal’s most famous robot, Kismet. 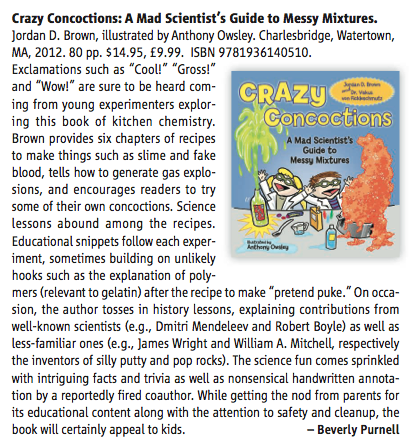 Anyway, the editor of the series just shared a very favorable review (PDF) which appeared this month in Science magazine. Enjoy! I’d love to hear comments or questions from anyone who’s read Robo World, or is interested in teaching children about robots. Posted in Books, Movies, TV, My Latest Work | Permalink | No Comments ». Add yours!